Dr. Alice Larson, Professor in the Department of Veterinary & Biomedical Sciences will teach the popular course, "Creativity in Research" (CMB 5912) once again this winter. 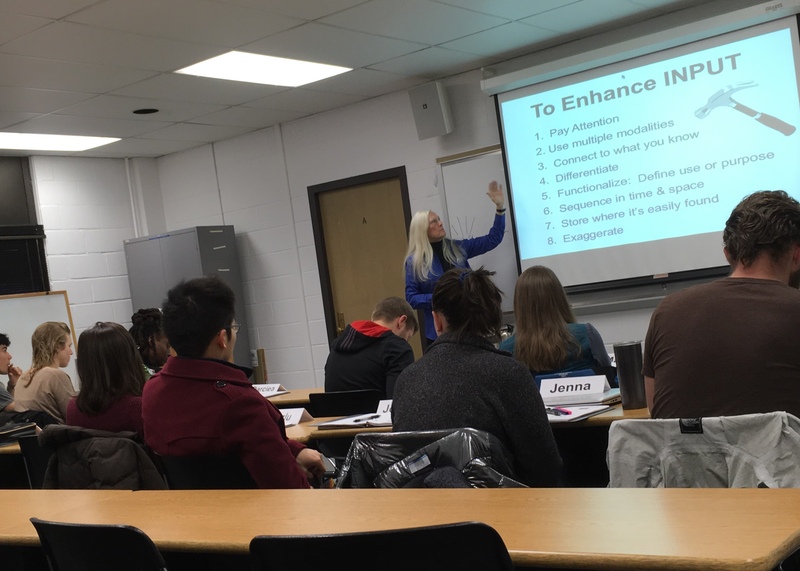 The class was initially offered during January Intersession of 2018 and was a great success. This unique, one credit intersession course deals with the important topic of creative thinking and how it can be applied to everyday problem solving, motivation, leadership, influence and personal happiness. A YouTube video describes the important facets of creativity in research, such as the foundations of creativity, optimization, and implementation. This intersession class will meet from January 14 - 18, 2019 from 8-12pm in Room 215 Veterinary Science Building. The course is open to students of all ages and academic disciplines.